Made myself a bacon bagel even though I have a birthday BBQ to go to today and have no idea what will be on offer. 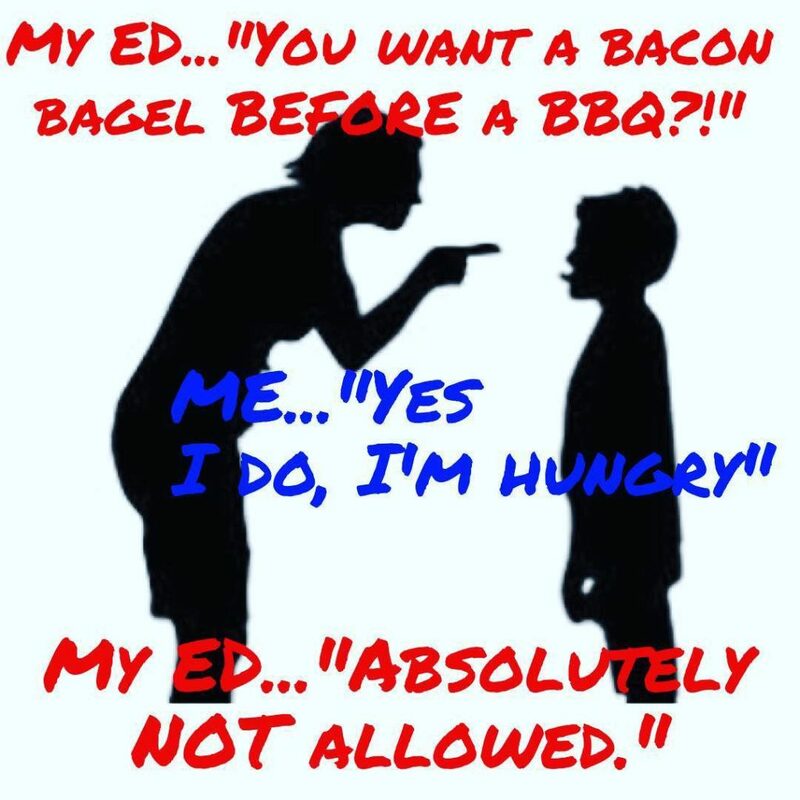 ED voice: A bacon bagel before a BBQ?!! Absolutely not allowed. Me: Err…why not? I’m hungry and I want to eat now and then go enjoy myself with a beer in the sun with my friends. The BBQ isn’t til 3!